Keeira Lyn Ford appeared alongside Leann Rimes! Keeira Lyn Ford has become a staple of the National Anthem at Nascar races! Also view the November 2013 Keeira at Nascar Performance: Keeira enjoys performing at Nascar, which has been an incredible opportunity for her and has resulted in rave reviews! 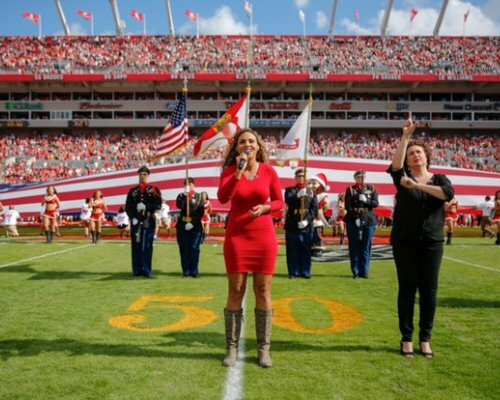 Keeira Lyn Ford sings at a football game!